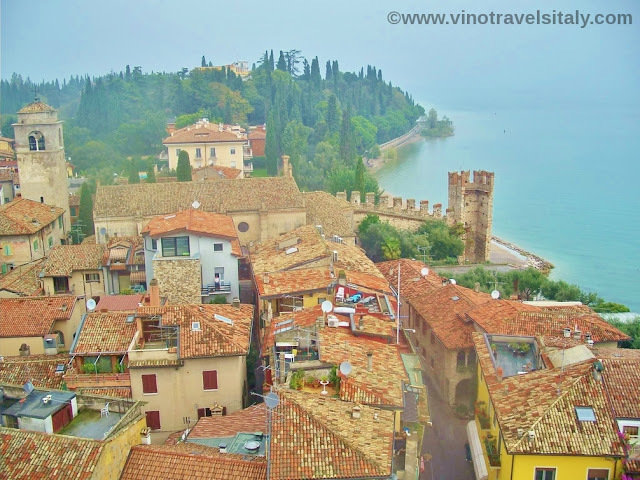 Many of us are familiar with some of the larger, well-known lakes through Italy including Lake Como, Lake Garda, Lake Maggiore and maybe even Lake Bolsena or Lake Trasimeno. Over the last few weeks I've been highlighting some specific towns within Italy including Rome and Bergamo as part of the #hipmunkcitylove project as I always love talking about Italian travel, especially those that I have visited. In order to stay true to what my blog is all about I felt it was most appropriate to also discuss perfect day trips to local wine regions for visitors to get a true sense of the area's local wines. 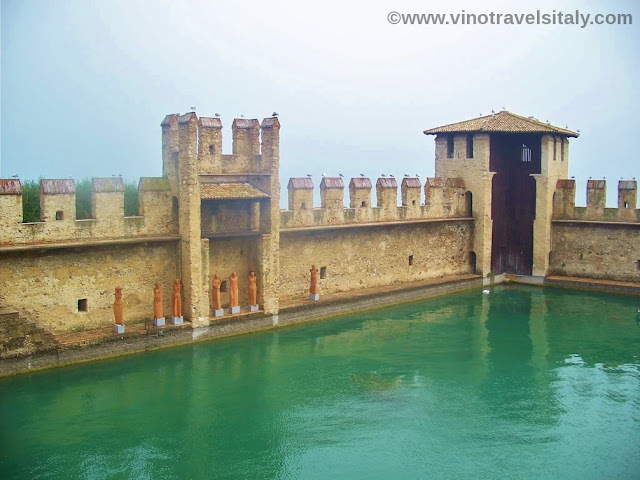 Today I'm showcasing the town of Sirmione, Italy that I visited back in 2009. 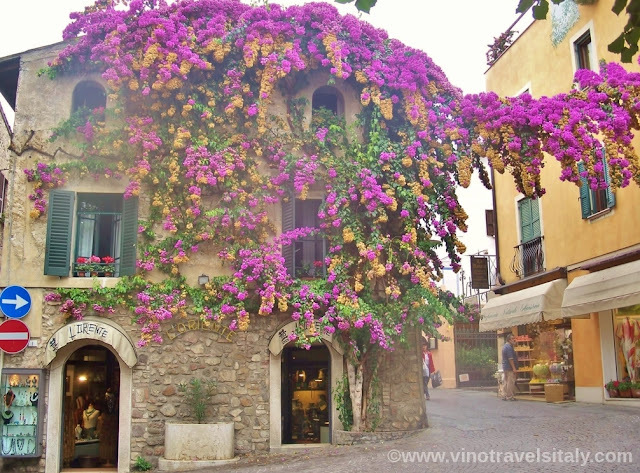 Sirmione is a really neat town located on the southern part of Lake Garda. It is situated on a peninsula that juts out into the lake. Lake Garda is the largest lake within Italy and touches a few regions within Italy including Lombardy, the Veneto and Trentino-Alto Adige. The northern part of Lake Garda is more mountainous where the southern part is made up of morainic hills formed by the glacial forms. The town of Sirmione is located in the province of Brescia in the Lombardy region. 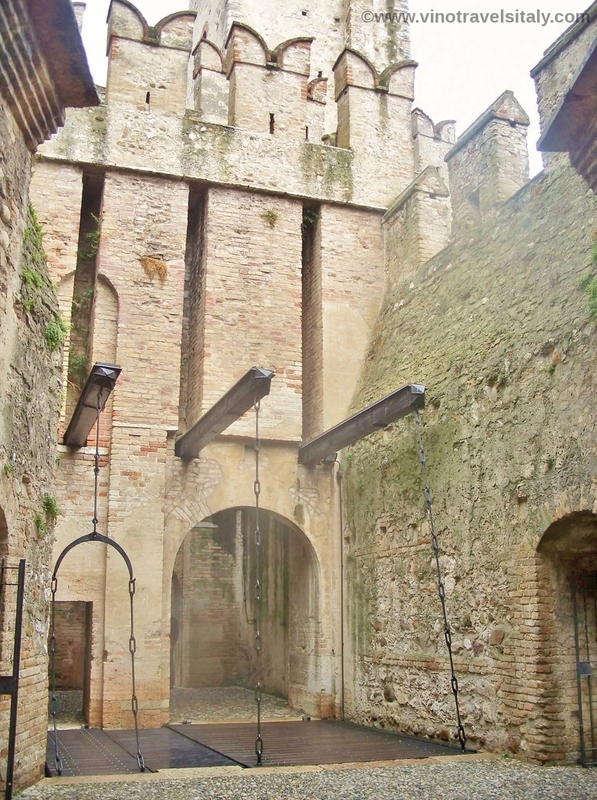 I love in Italy when I enter towns that are surrounded by walls or fortresses, and there are many of them, as I feel like I'm stepping back into ancient, medieval times. 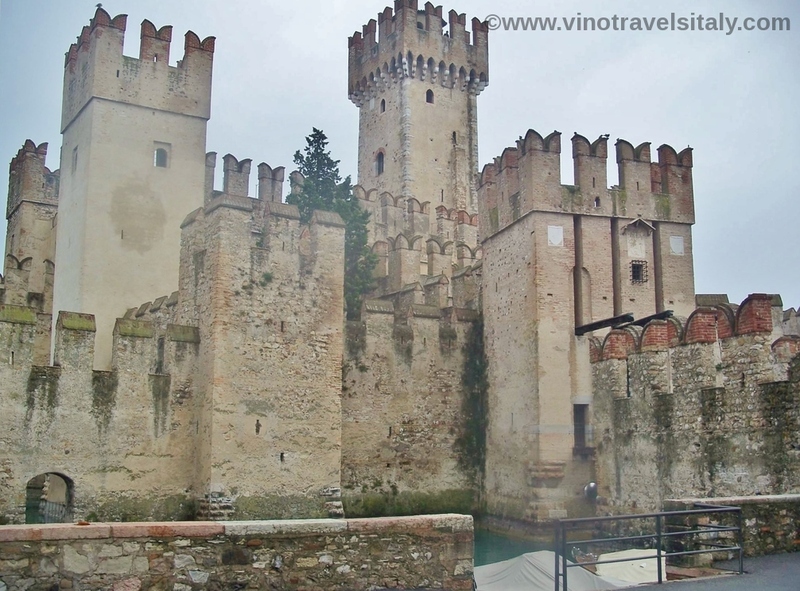 Upon arriving in Sirmione you can park your care and enter through the fortress walls surrounded by an ancient moat to access the old historic city center. There are some very interesting attractions within the city including the Grotte di Catullo, which is an ancient Roman villa where you roam through the archeological ruins. There is the opportunity to also visit the museum inside to scope out the objects that were excavated. In addition, there is also a neat little climb up the Rocca Scaligera di Sirmione. It's a castle that provides great views over the town and peninsula, as well as the water. With many other attractions to see including beaches, thermal baths, and quaint, peaceful churches there is plenty to satisfy your needs in the town of Sirmione. For you wine lovers the closest wine region is Bardolino, named after the town, that is within reach of Sirmione located on the southeastern shores of Lake Garda. If you're familiar with the Valpolicella wines of the Veneto, Bardolino is made of a blend of the same grapes corvina, rondinella, and molinara. The main difference is that it's a lighter style red wine that is less tannic and less alcoholic than the wines of valpolicella. For some of the best of this particular wine region seek out a Bardolino Superior Classico DOCG. For a recommended stay while in Sirmione you can check out the Yachting Hotel Mistral. I hope you get a chance to visit this wonderful area as it's very accessible to many other great places to visit including Verona, Brescia, Mantova, etc..
Have you had the wines of Bardolino vs. Valpolicella?